Hotel sector poised for a rebound. Should you check in? Radisson Hotel Group is in the process of creating a unified system for its hotels in India as it aims to drive cost-efficiencies across the value chain and enhance value for its stakeholders. The move is in line with transformation underway at the Minnesota-based hotel chain as it seeks to shed the image of running a legion of underperforming hotels. The group plans to introduce Emma, a unified digital tool designed to encompass revenue management, property management and business analytics. Emma will make its India debut with one of Radisson’s upcoming brands. “We have 94 hotels (in India), which are beads in a string. We want to put them in a beautiful necklace. What it means is combining a lot of standalone things we are doing in our business and unlock synergies for a unified system,” said Zubin Saxena, managing director and VP Operations, South Asia, told Business Standard. For instance, in Delhi alone, Radisson has 24 hotels, but all of them operate in isolation. Under the new arrangement, the hotels in India will be grouped under a cluster. Individual operations will have synergies within the portfolio and will be applicable to talent, procurement, revenue and operations strategy, said Saxena. Meanwhile, encouraged by the upward trend in the hotel industry in India being fuelled by a burgeoning demand, the hotel chain plans to increase its presence in the country from the current 94 hotels to 143 in the next five years and hire 4,000 people during this period. By end of the ongoing calendar year, Radisson will open its first Radisson RED hotel in India at Mohali in Chandigarh. It also plans to bring to India it’s newly introduced Radisson Collections brand. Currently, India has five out of seven brands from the company’s global portfolio. These are Radisson BLU, Radisson, Park Plaza, Park Inn and Country Inn & Suites. At a recent conference in New Delhi that was attended by the general managers of Radisson Hotels across India, the hotel chain launched the Centre of Excellence (CoE) programme, which sharpens focus on the key performance indicators (KPIs) — the move was tied to the group’s global plan called Destination 22, aimed at the complete transformation of the firm. This will be applicable to all aspects of the business, said Saxena. Meanwhile, the hotel chain also plans to launch a brand initiative and a website that will allow visitors to access all brands of the group on a single click. It has recently launched four new digital marketing campaigns. 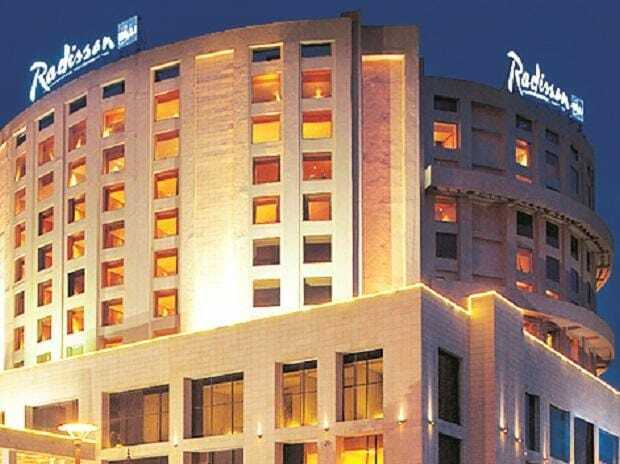 Radisson is looking at a double-digit increase in the average room rate (ARR) by 10-12 per cent from the current $90 (Rs 6,240.60) level.